Sixty years of continuous giving rooted in the beliefs and values of the founders is what distinguishes CCC and makes it unique among other companies. Even before the term ‘Corporate Social Responsibility’ became quite popular in recent years, the CCC founders made giving and care for the communities, employees and their families one of their core values which they have been practicing throughout the history of the company. Their continuous giving to their communities, employees and their families has left its mark on thousands of people who felt their support throughout the years. Their compassion and philanthropic deeds may have grown out of their hardship in their early years; however, becoming one of the most affluent companies in the world has just multiplied these humanitarian acts. CSR is an integral part of CCC’s corporate vision. (CSR) undertakes the role of “Corporate Citizenship” to ensure that business values and behavior are aligned to balance between improving and developing the company’s business as well as improving the quality of life of its workforce, their families, local communities and societies at large. CCC’s Corporate Social Responsibility (CSR) philosophy originated from the founders’ strong belief that the company has an obligation towards its shareholders, employees, clients, partners, subcontractors and to society. CCC does not exist only to make profit, but rather to improve the livelihood of more than 120,000 families of its employees as well as to serve the societies and the countries where CCC has an operational presence. 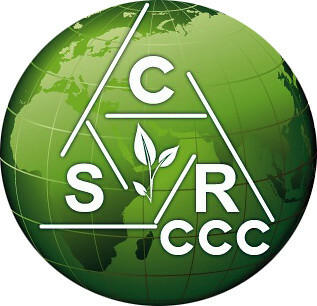 CCC’s CSR policy is guided by the company’s strong and ethical family values and traditions: it is an integral part of its corporate vision which ensures that its business values and behavior are aligned with its mission statement; company core values; guiding principles and code of practice; health, safety and environment procedures; and human resources procedures. CCC has committed to carrying out its activities in an environmentally friendly manner by reducing the environmental burden and improving environmental efficiency wherever possible. CCC demonstrates its commitment to the CCC family by promoting diversity, equal opportunities, ensuring a safe and secure working environment for its workforce as well as improving the quality of life of its employees and their families within their local communities. Carrying on in the footsteps of its founders, CCC believes that business should be conducted in a manner which will benefit the local and global communities where CCC operates. CCC has engraved its humanitarian and philanthropic footprints in support of social development, health and education in every country or area where CCC has operated or passed through. conduct and sustain business around the globe. CCC maintains its global participation and membership in international organizations and institutions. Humanitarian societies and charitable institutions. Social, cultural, civil and philanthropic activities. Sustainable development programmes of local communities. Over the years, CCC has participated and contributed generously to the countries and communities in which CCC has operated and passed through. Contributions have been in the form of monetary donations and in-kind participation. CCC is always ready to participate and pledge in campaigns originated or sponsored by international organizations for good and honorable causes. Corporate social responsibility is the road map to a sustainable corporate future.